We are still in the world of black teas with today's selection, Chestnut Tea. 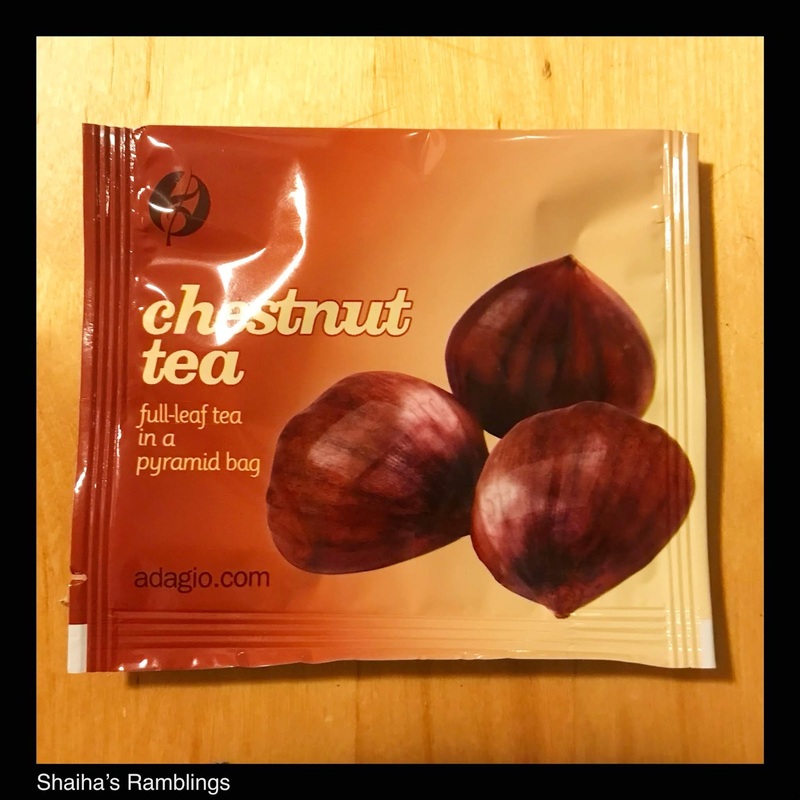 This is a black tea flavored by roasted chestnuts. I have to admit that I have always been curious about this tea especially as I adore hazelnut teas. When I first brewed this up, I wasn't impressed by the aroma. It was nutty but in a funky way. And I felt the same way upon my first taste. The tea was smooth but had a harsh aftertaste in that funky nut way. Once I added a bit of raw sugar and cream, I had a drinkable cup of tea. For myself personally, I wouldn't stock this tea. I am on the fence about whether to recommend this tea as the flavor that I find so objectionable before being doctored might just be the chestnut flavor itself. It does have a rather unusual taste so I would recommend ordering a sample to find out whether this is a tea that you will like.